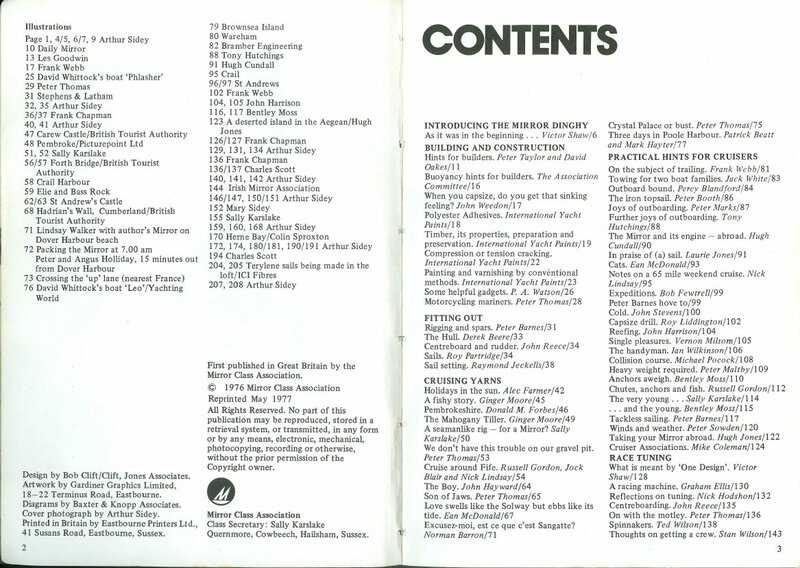 This is a very interesting 1976 book edited and compiled by Sally Karslake, Mirror Class Assocation Secretary, and publiched by the Mirror Class Association. Sally lived near Hailsham in Sussex. The ISBN of the book is 0903931109. It is a guide to building, crusing and racing the Mirror, with articles and contributions collected from many different authors. 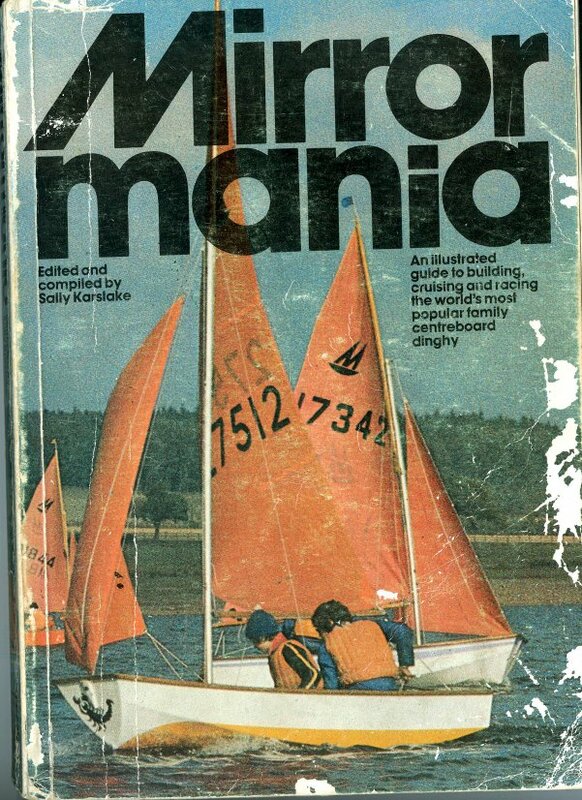 Part of the introduction states "Mirrormania is not the history of one boat, it carries the story behind the small boat revolution, which brought sailing and boat-building home to thousands. 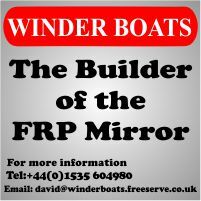 The Mirror dinghy knows no boundaries, admits no frontiers. 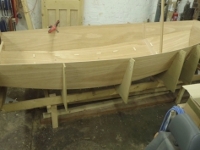 It is the ultimate in car-topping, it lies well to anchor over salmon lines, it chugs happily home on the evening tide bearing tired children, ship's dog and contented parents." 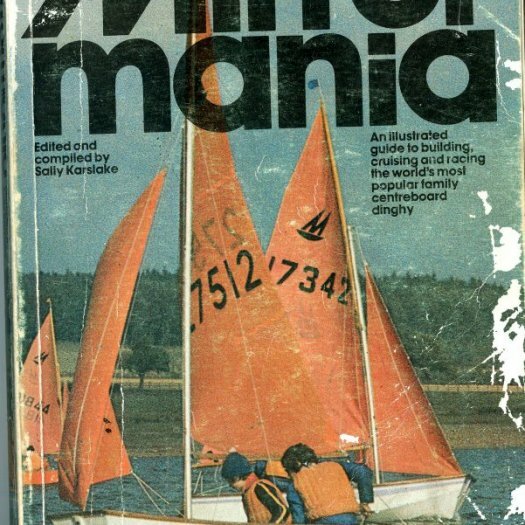 The book is a fascinating (if now dated) compendium of advice covering building and maintenance; race tuning and techniques, cruising hints, yarns and stories of cruises around different parts of the UK, even across the English Channel., building and maintaining, upgrade tips, trailing, camping, using an outboard, racing and tuning, rowing and sculling. 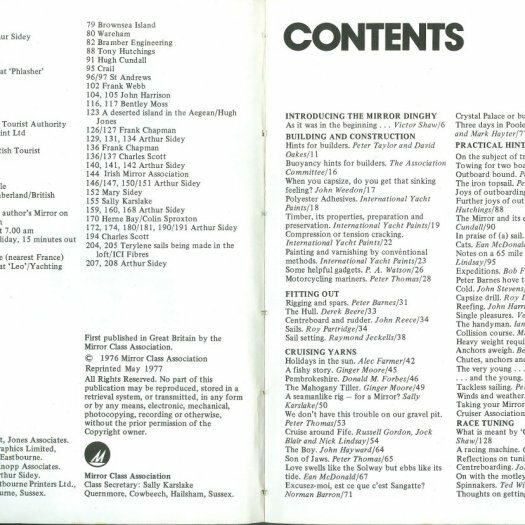 It contains many line drawings and historic black and white photos.All of this comes with a wonderful patina of the 1970s, a time when there was a fun element in the Class Association which some feel has been sadly lacking more recently. Many of the older members may have copies of this or remember Sally. For new readers It will probably appeal to the more mature amongst us! It has 207 pages and is a must for the Mirror enthusiast with an interest in Mirror history.